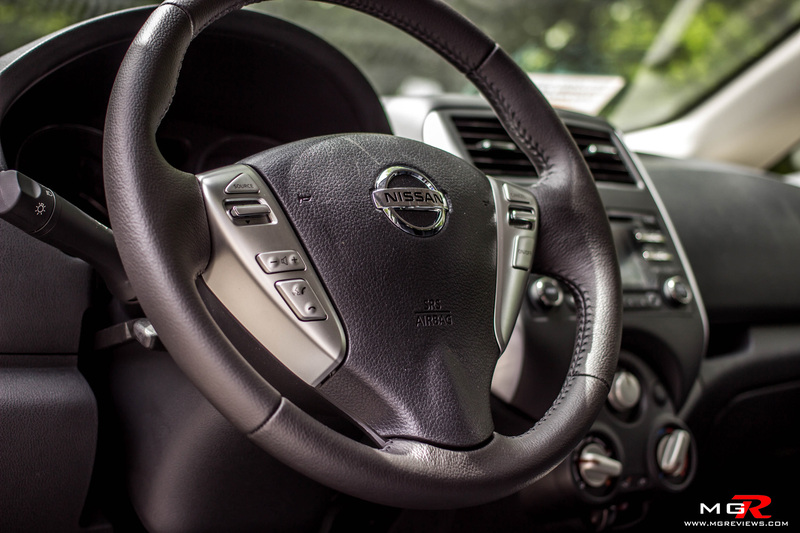 Performance – Outright performance was never the intent of Nissan’s engineers when designing this Versa Note and it is evident from the moment the throttle pedal is pressed. Powering this car is a small 1.6L Inline-4 engine that produces 109 hp and 107 lb-ft of torque. It takes a long time for the little engine to pull the Note’s body up to highway speeds. On the plus side, once the car reaches cruising speeds, the little engine rewards you by being smooth, quiet, and very fuel efficient. 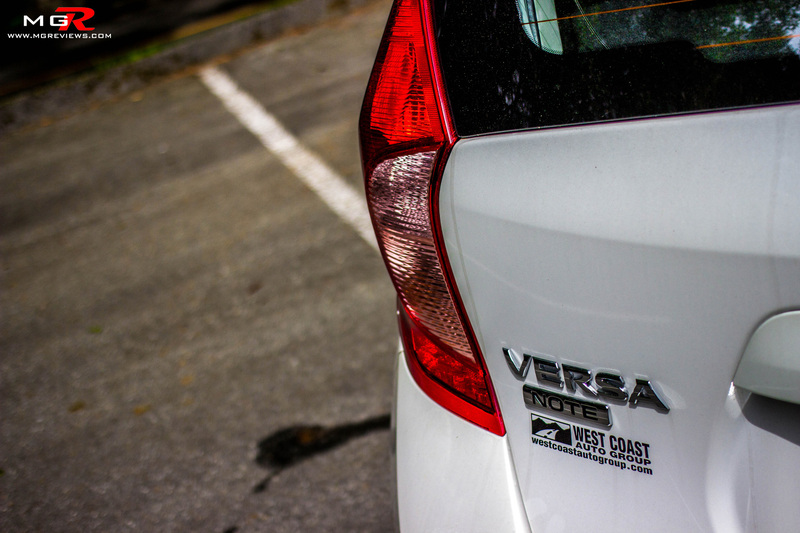 This Versa Note can achieve a remarkable 4.8L/100km on the highway and 6.1L/100km in the city. That is nearly hybrid territory but at a savings of almost $8,000 CAD compared to the cheapest hybrid that’s available for purchase. 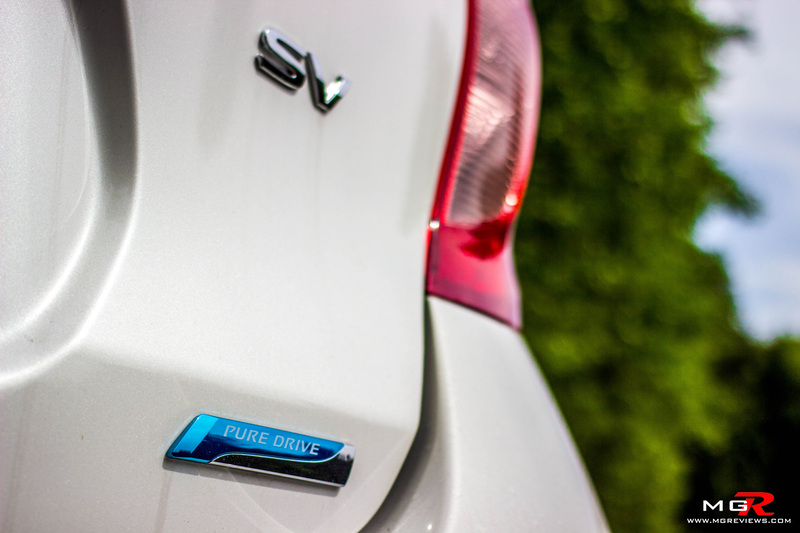 The engine can be mated to a 5-speed manual or an Xtronic CVT (Continuously Variable Transmission) like the one in this test vehicle. 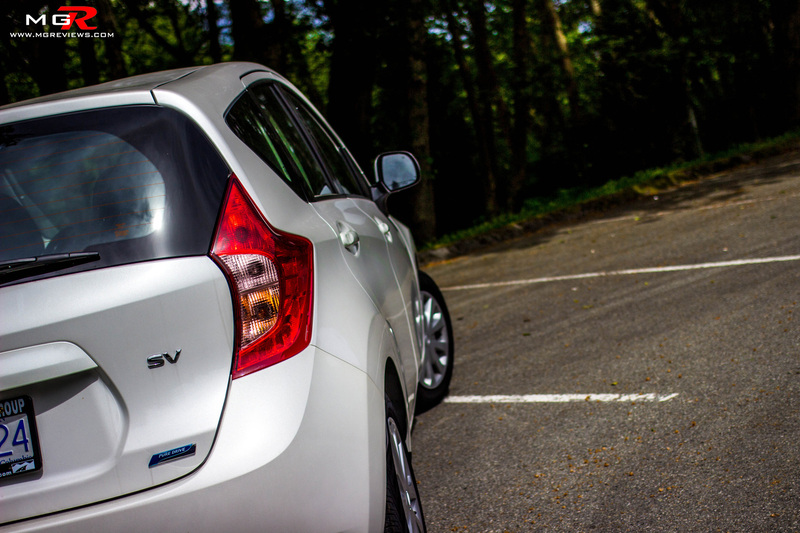 As mentioned in other reviews, a CVT operates by keeping the engine’s rpms at a set point depending if acceleration or fuel economy is desired. 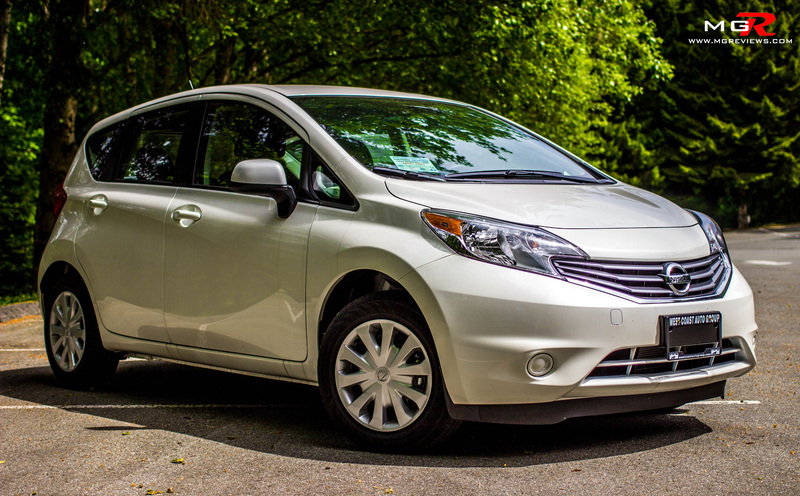 Unlike the CVT in the 2014 Toyota Corolla, the one in this Versa Note is programmed to deliver optimal fuel economy from the engine; however, it sacrifices driving enjoyment. There is no “sport” mode to this transmission and there are no “imaginary” gear ratios like those in the Corolla. 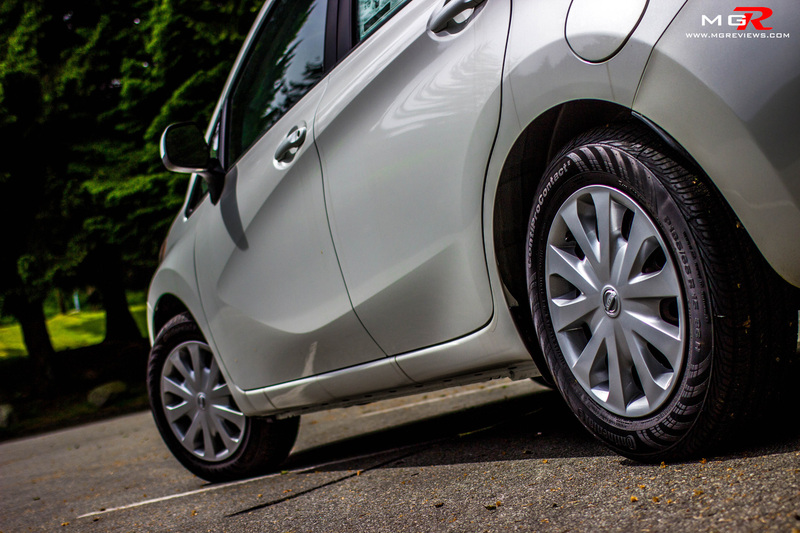 The performance of the Versa Note takes another hit when it comes to corners and stability. The suspension is set up to be very soft to absorb cracks and bumps on the road, which it does well, but that has an adverse affect on the handling characteristics. 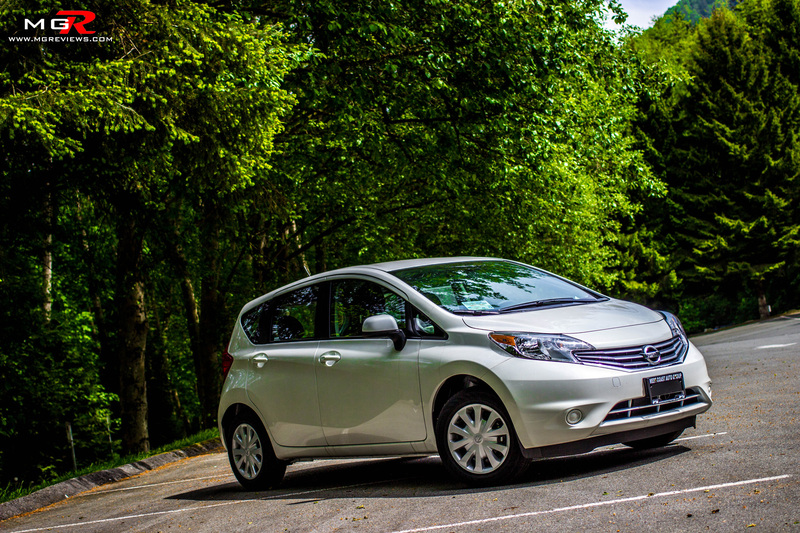 The body leans a lot through corners making this subcompact car feel more like an SUV. 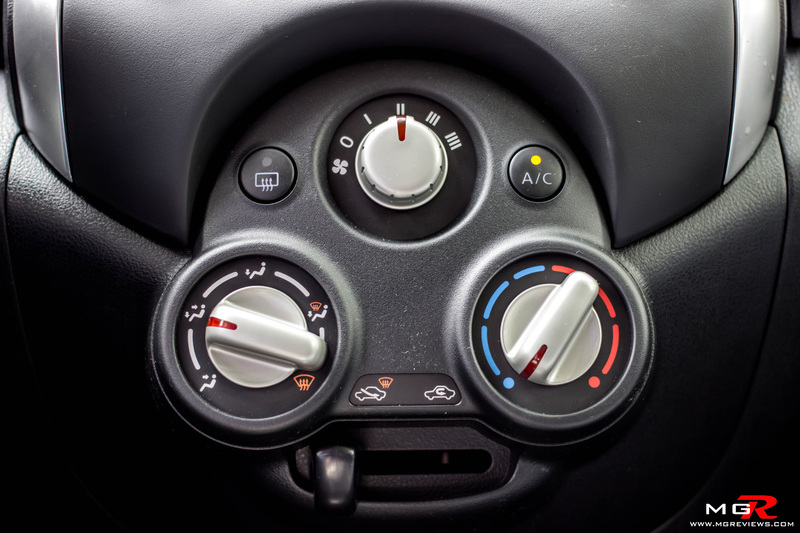 Also the high center of gravity combined with the soft suspension gives it a feeling of instability at highways speeds when passing by a large truck that causes a lot of wind disturbances. Those wind disturbances require a lot of steering input to counteract them which in turn makes for an unsettling feeling among passengers. 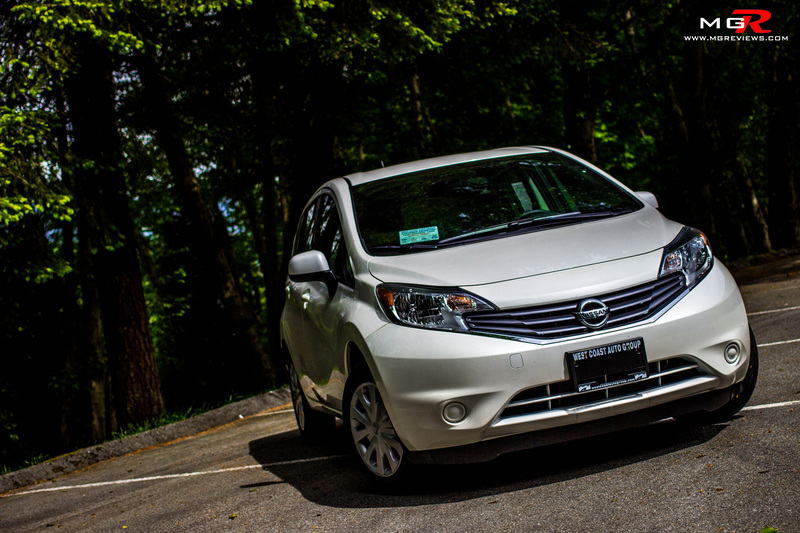 Comfort – The performance of the Versa Note is a letdown but it does redeem itself by offering a very comfortable ride. As mentioned earlier, the soft suspension doesn’t bode well for cornering performance but it does for the ride quality. Every bump on the roads gets absorbed by the suspension making this an exceptional commuter car for the uneven and broken city streets. 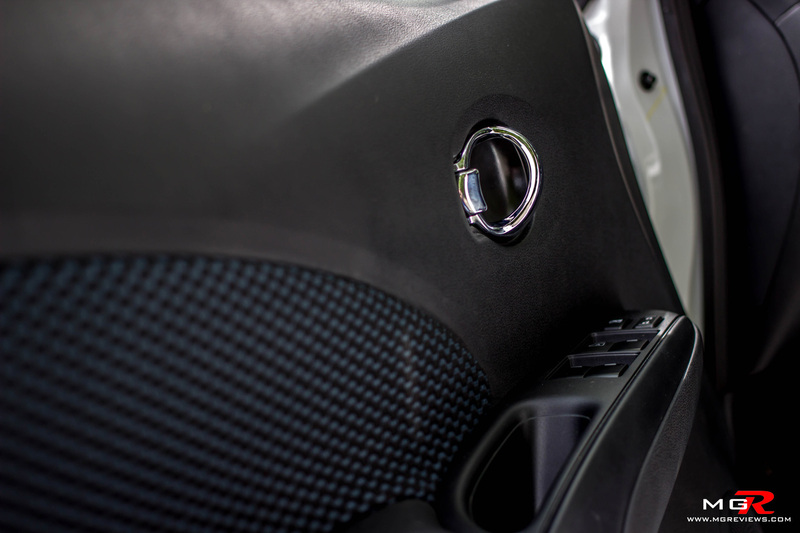 Another redeeming quality of the Versa Note is the amount of space that is available in the cabin. Headroom seems like it goes on for miles and 2 adults can sit very comfortably in the rear seats for extended periods of time (or 3 children). 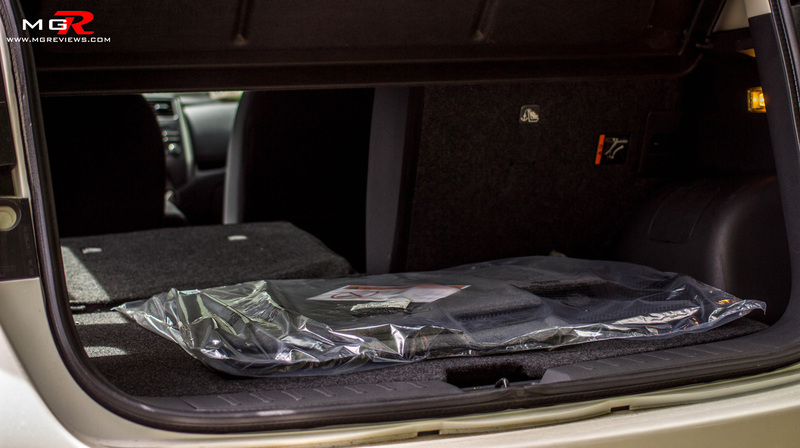 Trunk space is also plentiful for a car of this size and more can be made by folding the rear seats flat. 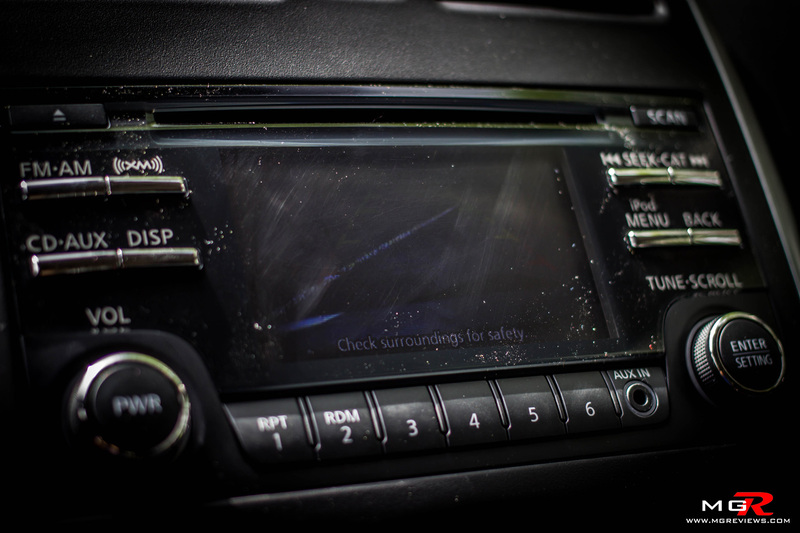 The interior design is basic but acceptable for a relatively inexpensive car such as this. But if that doesn’t suit your taste, different packages can be added to increase the convenience of the Note. 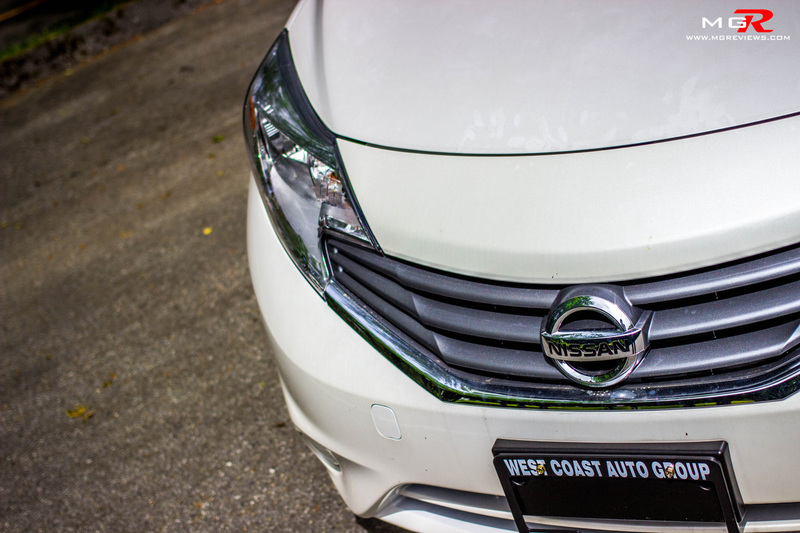 Reversing camera, 360° around view monitor, Bluetooth, USB connectivity, satellite radio, satellite navigation, and a 5.8” touch screen can be added to the Versa Note. 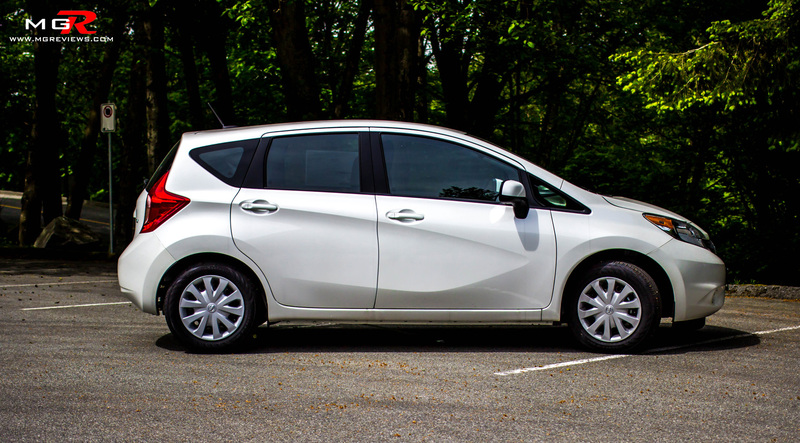 Odds and Ends – By far the best feature about this Nissan versa Note is not what it has but rather what it doesn’t have, a large price tag. 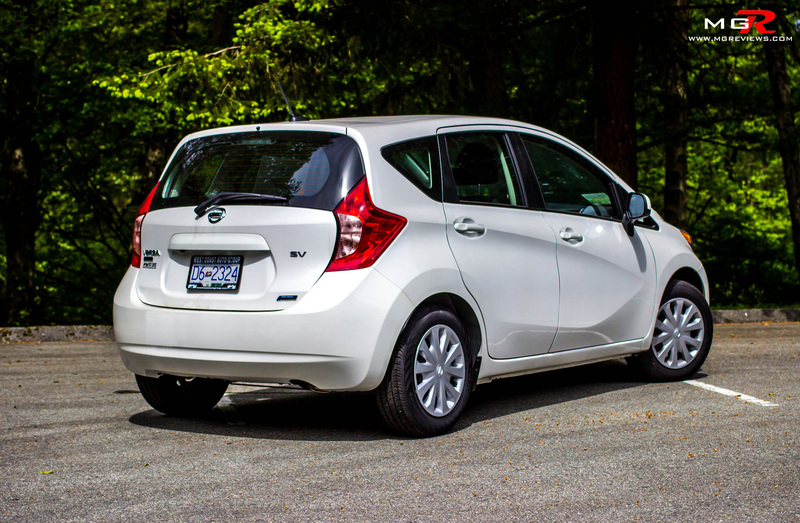 This comfortable, spacious, and fuel efficient subcompact starts at just under $13,500 CAD. That is a price that the Honda Fit and Hyundai Accent can’t match nor do they offer the same amount of room. 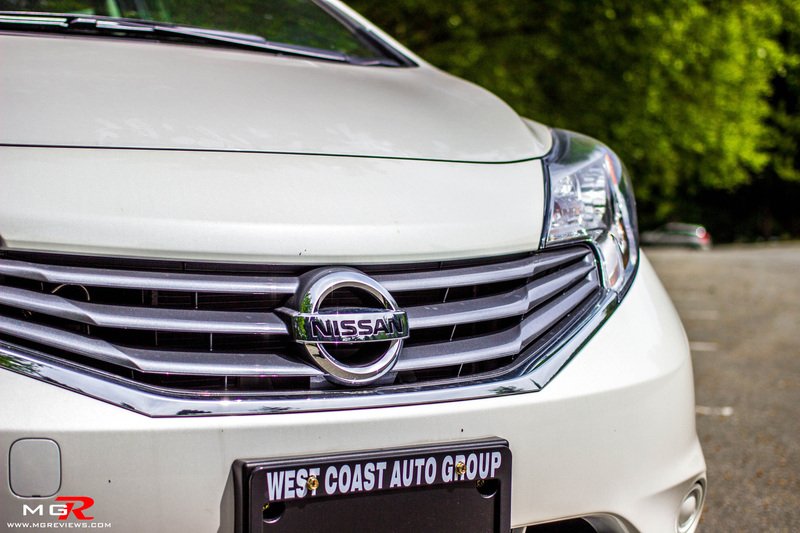 Also a best in class residual resale value and 0% financing should be enough to sway people away from other brands and seriously consider a Nissan.